Post about this Rising tennis Star in here. One game away from defeat, No.5 seed Karolina Pliskova won her second title at the Brisbane International thanks to a thrilling comeback against Lesia Tsurenko in the championship match. 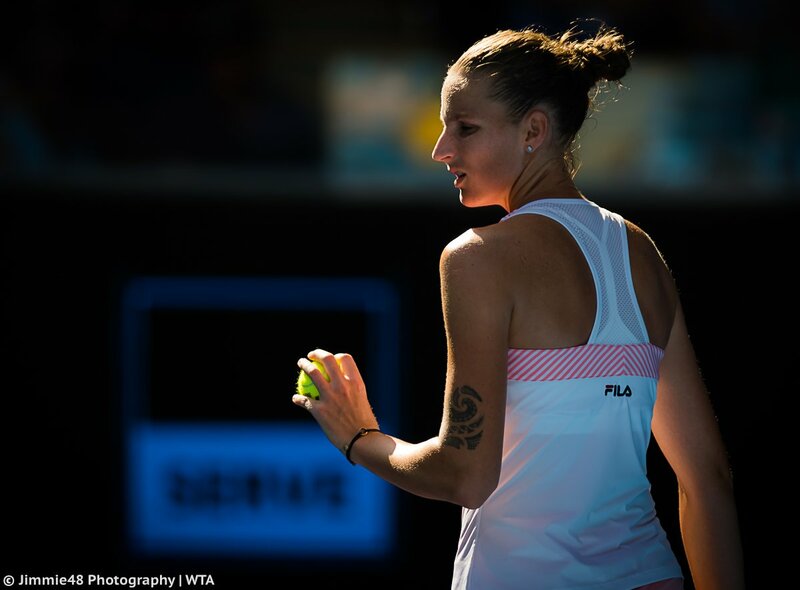 BRISBANE, Australia - No.5 seed Karolina Pliskova authored a thrilling comeback to claim her second Brisbane International title on Sunday, rallying from a 6-4, 5-3 deficit to defeat Lesia Tsurenko, 4-6, 7-5, 6-2. The former World No.1 was two points away from defeat in the second set, but rallied on serve at deuce when trailing 6-4, 5-3, and won 14 straight points en route to capping a thrilling second set comeback. Karo d. Serena Into SF! The 37-year-old American, going for a record-equalling 24th Grand Slam singles title, led 5-1 in the decider but lost 6-4 4-6 7-5. Pliskova, 26, won the last six games before taking her third match point. Former world number one Pliskova will meet Japan's Naomi Osaka in Thursday's semi-finals. Williams, seeded 16th, played down an ankle injury which she suffered during the rally as she missed her first match point when serving at 5-1, 40-30. The American did not win another point on serve after the incident. Like fourth seed Osaka, Pliskova will be playing in the Melbourne last four for the first time. She is one more victory from her second Grand Slam final, following defeat by Germany's Angelique Kerber in the 2016 US Open. "I was almost in the locker room but now stand here as the winner," said Pliskova. "My mind was in the locker room at 5-1 down but I was still here. I was too passive and mentally down. She got a little bit shaky in the end. I took my chances and I won. 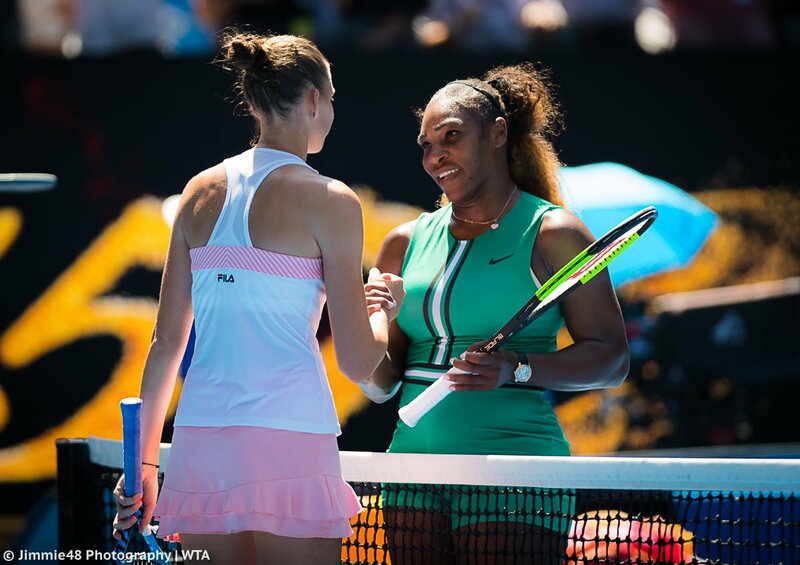 It was an extraordinary topsy-turvy match on Rod Laver Arena with Pliskova leading by a set and a break at 3-2 before Williams won nine games out of 10 to make victory appear a formality for the American. Former world number one Williams was considered the favourite to win the women's singles, and a first major title since giving birth, despite not playing competitively since losing to Osaka in New York. A eighth triumph in Melbourne would have seen her move level with the 44-year record set by Margaret Court - but she lost in remarkable circumstances next door to the stadium named after the Australian. Then came a gripping finale which left Williams - and those watching on Laver - stunned. That was compounded by her appearing to turn her ankle in the process, with a double fault and unforced backhand error giving Pliskova the break - and a glimpse of hope. Williams' serve disintegrated as Pliskova, with the help of a forehand winner for 0-40, broke to love again which left her serving for the match. Miami SF: Karolina d. Halep 7-5, 6-1.